Cranwell Spa and Golf Resort is a premier, top-of-the-line, year-round resort, majestically crowning the historic landscape of the Berkshires. Cranwell is a shining example of full-service luxury, offering everything from golf on a championship 18-hole course to swimming in an indoor pool while gazing at the spectacular grounds designed by Frederick Law Olmsted. The luxurious 35,000-square-foot Spa at Cranwell features a skylight along the main entrance corridor and sixteen well-appointed treatment rooms. In consideration of the chilly winter months, the spa is connected to 58 of the guest rooms by heated glass-enclosed walkways. 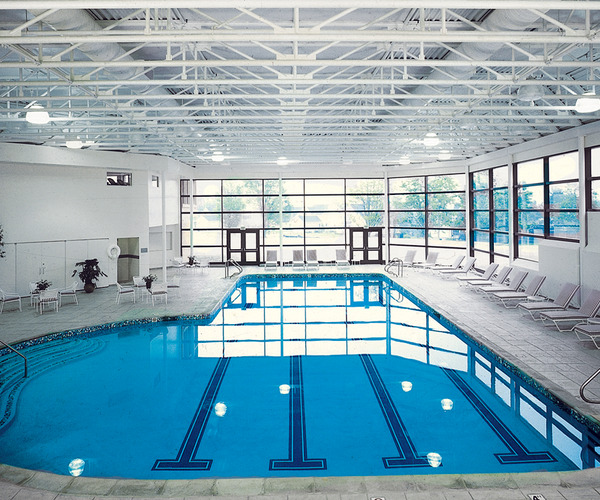 Another place to enjoy views of the grounds and the surrounding Berkshire Mountains, is the 60-foot long indoor pool, which is enclosed by a 20-foot high glass wall. Decorated in warm earth tones, the interior design of the Spa creates a soothing environment where guests don terry cloth robes and slippers and unwind in the saunas, steam rooms and spacious whirlpool therapeutic baths. Before or after receiving a treatment, guests can relax in the adjacent lounge complete with a refreshment bar and fireplace. With over 40 spa services ranging from soothing massages to healing wraps to organic skin and body treatments, the Spa is a terrific place to pamper yourself after a long day of activities. Highly trained specialists will care for your individual rejuvenation and well-being, and make sure that you receive extraordinary care. Golf, of course, is a favorite at Cranwell. Cranwell is also home to four outdoor hard-tru tennis courts and offers a top-notch tennis program, led by a seasonal tennis professional. There are private lessons, round robins, and "beat the pro" matches. Enjoy a host of water activities, such as water aerobics, in the indoor or heated outdoor pools. The Spa Fitness Center is equipped with a complete line of cardiovascular and strength training equipment plus an exercise studio offering yoga, aerobic and stretch classes. Bicycle rentals are available and there are many outdoor activities such as hiking, boating, canoeing, fishing and horseback riding nearby. With 107 rooms and suites, Cranwell offers several different options for accommodations. The main house, the original Tudor mansion, has beautiful 19th century English Arts and Crafts styled rooms. 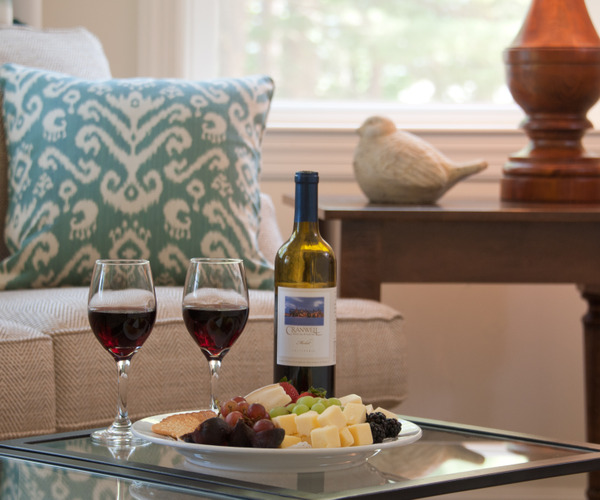 The Founder's Cottage offers 27 deluxe rooms with balconies, terraces, and whirlpool tubs. These rooms are all linked to the spa by a glassed-in tunnel. For more contemporary quarters, Beecher's Cottage and the Carriage House have spacious rooms, fireplaces, and glorious bay windows. There are also some one-bedroom cottages, which are perfect for families. The most recent addition to Cranwell's architectural landscape is Olmsted Manor, which houses the new lobby, welcome desk, and concierge services, and has 10 beautiful new rooms and suites. Dining is no exception when it comes to excellence at Cranwell. Executive chef Carl DeLuce creates daily menus that both please the palate and shrink the waistline. There are four restaurant options and each has a menu that includes specially prepared spa cuisine selections with the precise calorie and fat gram count indicated for each item. Breakfast is served in the Music Room; both lunch and dinner are served at Sloane's Tavern, which has a large terrace for outdoor dining with views of the golf course. Here guests can enjoy a traditional menu of delicious soups, salads, sandwiches, and burgers, as well as grilled seafood.